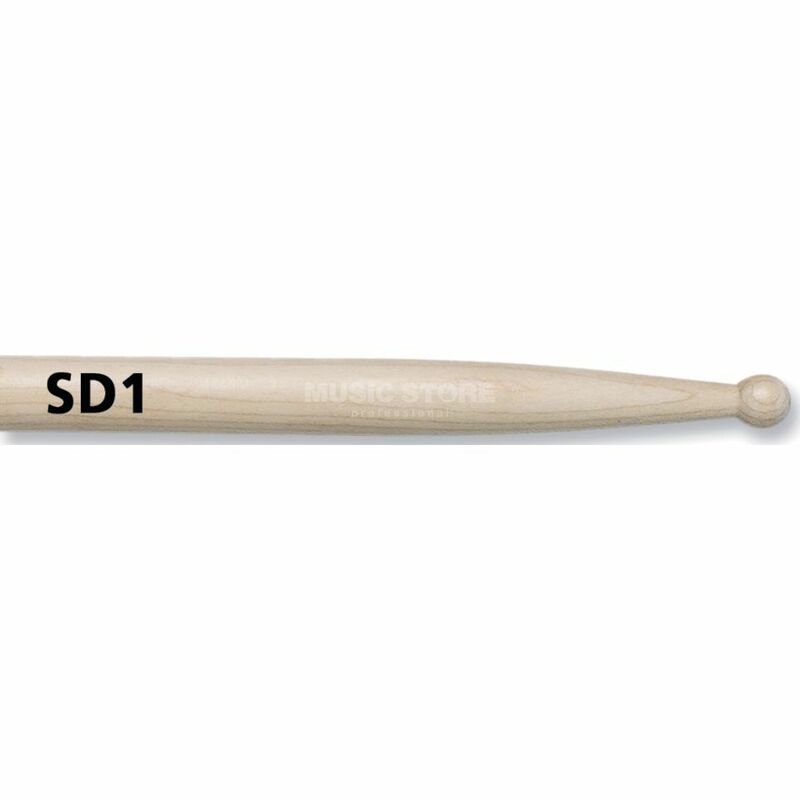 The Vic Firth SD1 General Drum Sticks is a pair of drum sticks, made from maple, with a length of 415.9mm length, a diameter of 16.1mm diameter, a lacquer surface, and a round wood tip. These American Custom drum sticks have a round tip, which helps make them ideal for orchestral work, rock and band. A legendary practice stick.